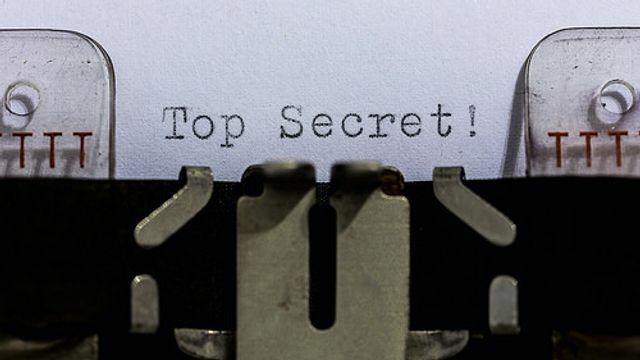 Shhh… it’s not really a secret, but did you know that EU countries must have in place legislation to bring the Trade Secrets Directive into force by 9th June 2018? The relevance of this new piece of legislation is that it will aim to give clear guidance on what can be regarded as a trade secret. The Directive also provides guidance on the remedies available when breaches occur; and provides the Courts with clarity on what measures it can take to protect confidential information whilst legal proceedings into a suspected breach are underway, and thereafter. As the UK will still be part of the EU on that date, this will apply to us. If you are an engineering company using a special process in your manufacturing, have a secret sauce for your pies, or use a particular method for the bread you produce, the directive should in theory, provide more ease in establishing that you have a trade secret which must be protected. Currently, there is no standalone piece of UK legislation which deals with the protection of trade secrets. Generally, protection from disclosure is dealt with by way of intellectual property rights and restrictive covenants in employment contracts. Breaches are regarded as breaches of contract, and the remedy will be by way of a civil claim in the County Court, or High Court. But if you have an ambiguously worded employment contract or have not specifically placed restriction on your trade secret, there is a huge hill to climb. The difficulty with the current process is that there is little in the way of legislation to provide guidance on how or when your process or product is a trade secret. The available law is by way of case law which can at times be very fact specific. The current process can also prove challenging when establishing what interim protection should be put in place whilst litigation gets underway. Part of that interim protection would be the requirement of injunctions, the cost of which can be problematic for many small businesses. Guidance on what can be requested is therefore both time, and cost saving. What will the directive do? (iii) has been subject to reasonable steps by the person lawfully in control of the information, to keep it secret. (iii) compensation for the damages caused by the unlawful use or disclosure of the misappropriated trade secret. Carefully worded restrictive covenants and confidentiality agreements should continue to be provided to employees and even co-directors or investors to ensure that further protections remain available. This is also of relevance as compensation payable for a breach of the directive can be reduced if the perpetrator can show that the infringement was unintentional, if they were unaware that the process or product was a trade secret; or if they can show that they could not have reasonably known that the information was directly or indirectly derived from an unlawful act. For employers taking on new recruits where such concerns are relevant, it is sensible to ask questions about restrictive covenants in their former contracts of employment, and to establish that the asset or knowledge being provided to you by your new recruit, is not regarded as a trade secret. You're on our blog and updates site, which is hosted by elXtr, a leading digital hub powered by the award-winning lawyers at LHS Solicitors LLP. Bringing you real law made easy. Law for the online generation starts here. Will new legislation stop employees taking secrets to new employers? Employees who leave a business to begin a new job also highlight an area of the Directive where ambiguity remains. The draft says that these employees will not be prevented from using “experience and skills honestly acquired in the normal course of their employment”. [...] Happily, perhaps with a view to ensuring that potential investors know the EU is taking this matter seriously, the draft does state that relevant enforcement hearings may take place in private. This will mitigate the fears of some who shy away from litigation believing that in the course of court proceedings they may be forced to disclose in a public forum the very secret they are trying to maintain.